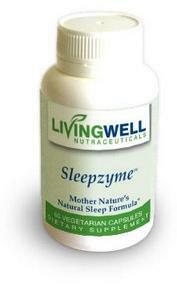 Feeling tiredness and sleepiness when you shouldn't? Think about this: when you are not feeling well, what is the first thing you do? Most people rest and cease many normal activities and that is just what the body needs. If slowing our activities, even sleeping helps you get well, it makes sense that it can keep you well also. More than we think, being constantly on the go when we are well is what causes us to become sick or have health problems. We need to slow down but we also need to understand the causes of tiredness and deal with them. Stress may be a much bigger factor than we have considered in disease in general and in cancer in particular. Stress or being overtired contributes to acid build up in our body. An acid build-up can result in chronic disease and pain of all sorts. How Does a Good Sleep Relate to Weight Loss? Adequate sleep is not just important for avoiding tiredness - it can also help for anyone needing to lose weight. The hormones ghrelin and leptin, are the body's hunger and appetite regulators. One study of healthy young men who were sleep-restricted for two days found an 18 percent decrease in plasma leptin levels and a 28 percent increase in ghrelin levels. The result was increased hunger and an appetite for carbohydrates. Neither are good for anyone trying to lose weight. Lie flat on the floor on your back with no pillow, hands and arms loosely by your sides. Support your feet and lower legs on the seat of a chair so that the edge of the chair seat reaches to the back of your knees. Relax for 10-15 minutes just before going to bed and then go straight to bed to sleep. The effect is enhanced when accompanied by deep diaphragmatic breathing. This procedure seems to satisfy a considerable portion of your sleep-need (some suggest 2-4 hours). This is because much of your early sleep time is involved with adjusting your circulatory system after a day of being upright. You can also use this position for power napping. Lack of sleep will make you more irritable, defensive and moody. It is not the length of time you sleep so much as the number of completed sleep cycles that determines how good a sleep you had. If you wake up close to the time you should be getting up anyway, you are probably better off to get up than to try to go back to sleep for part of a cycle. (Most people's sleep cycles average about one hour.) If you wake up part way through a cycle you are more likely to feel tired, perhaps for the whole day. Tiredness is one of the first signs of chronic dehydration. Research shows that, because of our circadian rhythm, sleep before midnight is worth twice as much as sleep after midnight. Another factor that can have an effect on how well you sleep is, of course, the quality of your mattress. Many mattresses will have high levels of chemicals used in their manufacture that can affect your sleep. Reducing your exposure to toxins with an organic mattress can improve the quality of your sleep. Are you tired of feeling tired? If so, you could have a serious medical condition. Sleeping disorders are affecting millions of Americans these days. If you have problems with insomnia or just need help getting your nightly sleep see the list of tips for a good sleep. A regular schedule helps the body to shift from active, day-time mode to a slower, get-ready-for-sleep mode. Dr. Rest has given us many tips for a good night's sleep. Dr. Nutrition tells us that while our body needs a nightly rest, our digestive system needs a break also. If you don't give it one your sleep will suffer. Visit all ten of the natural doctors featured on this website for free natural doctor advice. Here are more solutions for insomnia that take into account our melatonin production and even foods that can be helpful. Sometimes you getting a good sleep depends upon baby getting a good sleep. This Special Bonus Health Report was created by the folks at www.losethebackpain.com. They have extended me permission to give it away as a free bonus to people visiting my site. sleep hormone described earlier on this page.